On 3rd Friday in June, Kiosk Gallery presents “My Hand – Mi Mano”, a solo exhibition of paintings by Cristina Muñiz. In this selection of new works, Muñiz reveals “the hand of the artist” with a language of organic, abstract forms and spaces. 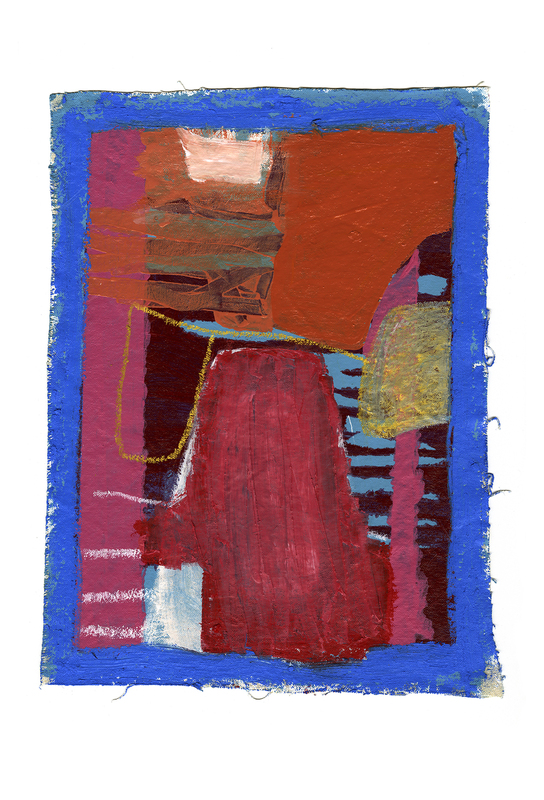 “My paintings contain heavily abstracted recollections of a combined past. Every work rests not entirely on a complete public understanding but a shared sense of the human experience and immersion into it. Stories relayed to me, mixed with my own first-hand memory, become personalized. The work’s focus is to make these memories and stories tangible and inclusive. After walking away from a partially complete painting major over twenty years ago, Cristina Muñiz left her home in San Antonio to enroll in the Kansas City Art Institute and earned a BFA in 2014. She is an alumnus of Charlotte Street Foundation’s Studio Residency program. Muñiz currently lives and works in Kansas City, Missouri.